3. Download the Character Pack here. Instructions about installation are here. 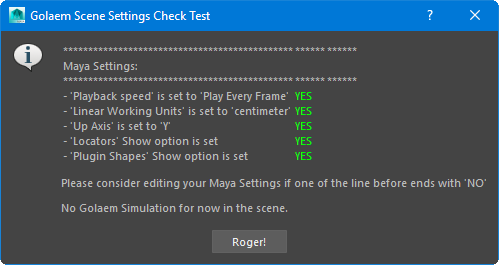 If you did not allow the copy of Golaem module file in Maya user files at installation (Windows/Linux), you need to perform a custom setup (Windows/Linux) to make Golaem available in plugin manager. 6. 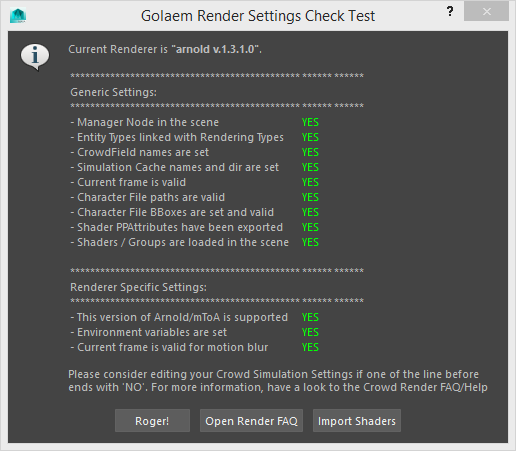 Click on in the Crowd shelf or on "Check Scene Settings" in the Golaem menu. Everything should be reported as YES, otherwise, check the First Launch Recommendations & Known Issues. 7. 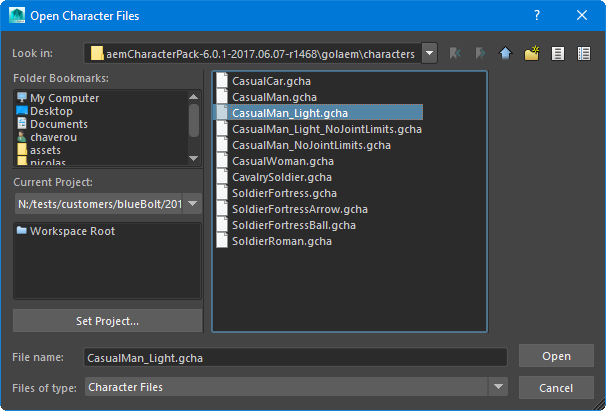 Create an Entity Type node and browse to find the Character File (.gcha) in the /golaem/characters directory of the Character Pack. 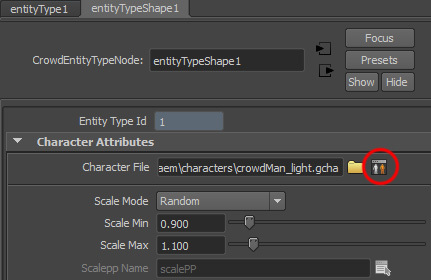 Golaem will automatically ask if you want to import shaders for this character. Browse to the shaders file corresponding to your renderer (e.g. 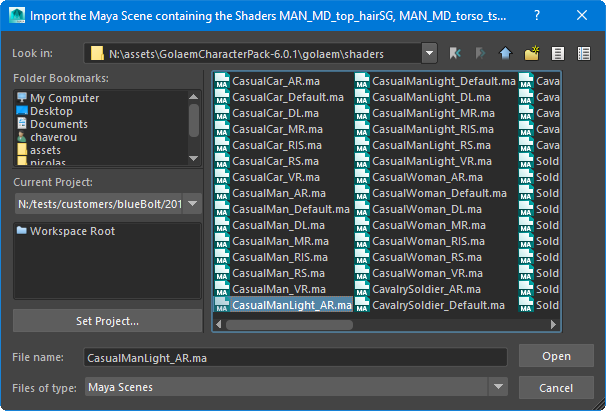 /golaem/shaders/CasualManLight_AR.ma for Arnold). 8. Click on the Terrain Locator icon to create a Terrain Locator configured with default value (infinite plane). Although simple, this is a very important step as it will ensure a correct feet adaptation on the ground when your characters move. 9. Click on the Population Tool icon and then somewhere in the viewport to place a Population Tool Locator. 11. Click on the Create button. 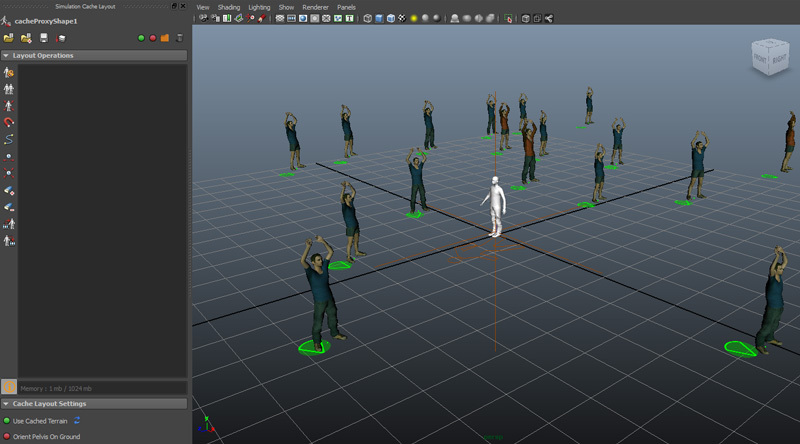 It will create a particle system and link it to a Crowd Field to instanciate characters on top of your particles (see Main Concepts to better understand the link between Golaem Entities and particles). 12. 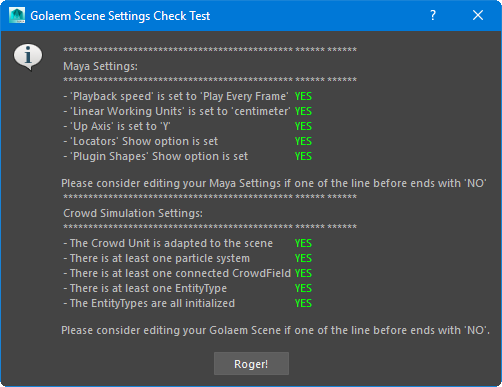 Click on in the Golaem shelf or on "Check Scene Settings" in the Golaem menu to re-open the Golaem Scene Check Test. 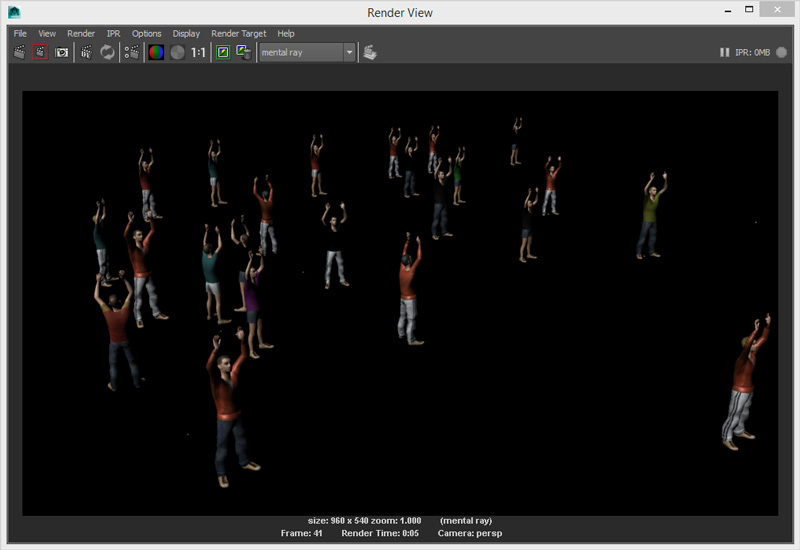 The Crowd Simulation Settings are now checked. Everything should be reported as YES. 13. Click the play button to visualize the created characters. They are not moving yet. 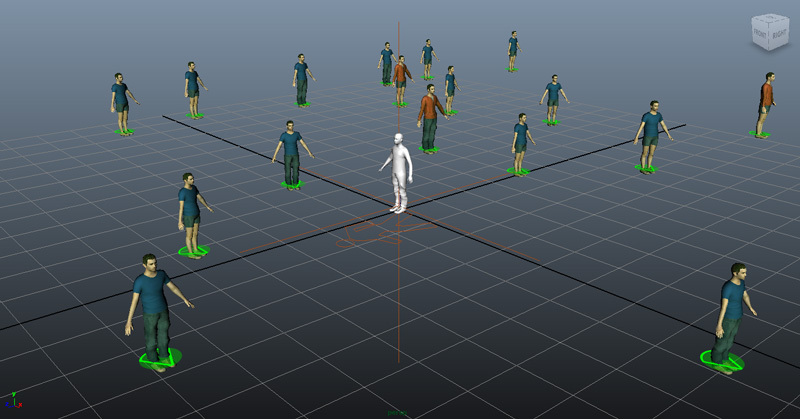 Note that their clothes are generated respecting the assets distribution defined in the geometry part of the .gcha file. 14. Select your EntityType again, and click on the Character icon next to the .gcha file path in order to load it. 16. You can change how meshes will be distributed among your characters by changing their weights using sliders from the Rendering Types Panel. 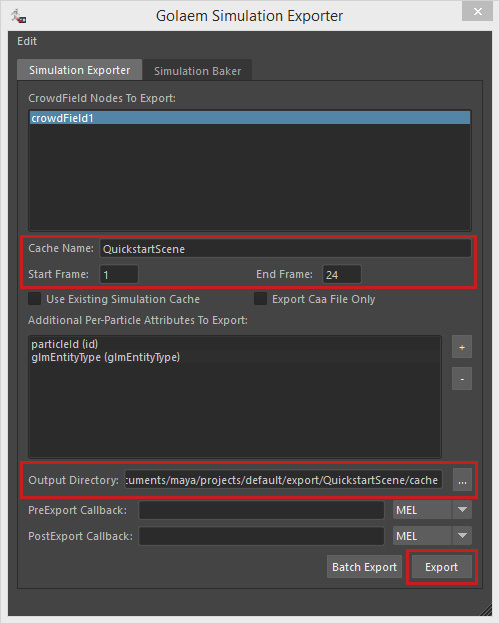 After exporting the simulation, the Simulation Exporter automatically creates a CacheProxy and switch to Cache Replay Mode. 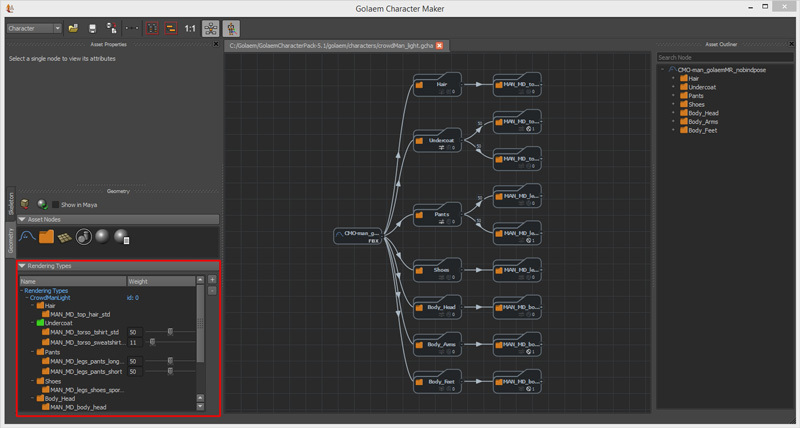 This mode enables you to scrub the timeline to visualize the cached simulation and use the Layout tool to modify your simulation (see below). The CacheProxy is also used by the renderer to draw your Golaem characters. The current mode (Simulation or Cache Replay) is indicated in the Golaem Shelf. You can switch between mode anytime by clicking on this icon. 20. Notice that Golaem periodically check if your scene is ready to be rendered and display the status in the Golaem shelf ( / ). You can click on this button to see the details. Everything should be reported as YES. Renderman users will probably notice big spheres on the ground near each characters. 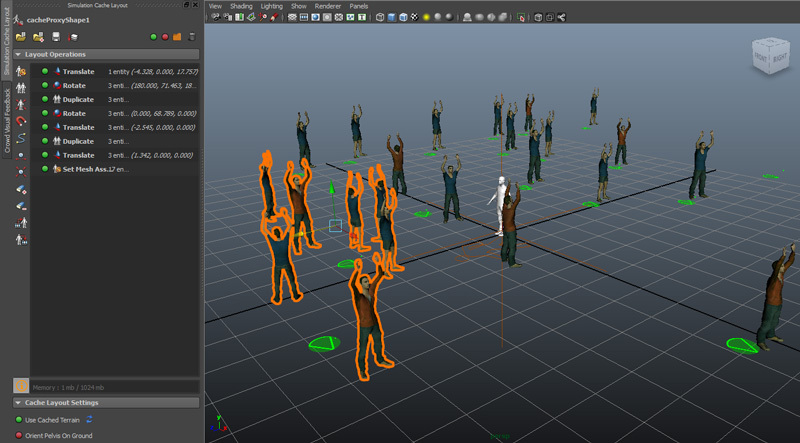 They correspond to the particles used for the simulation. To hide them, see here. 24. 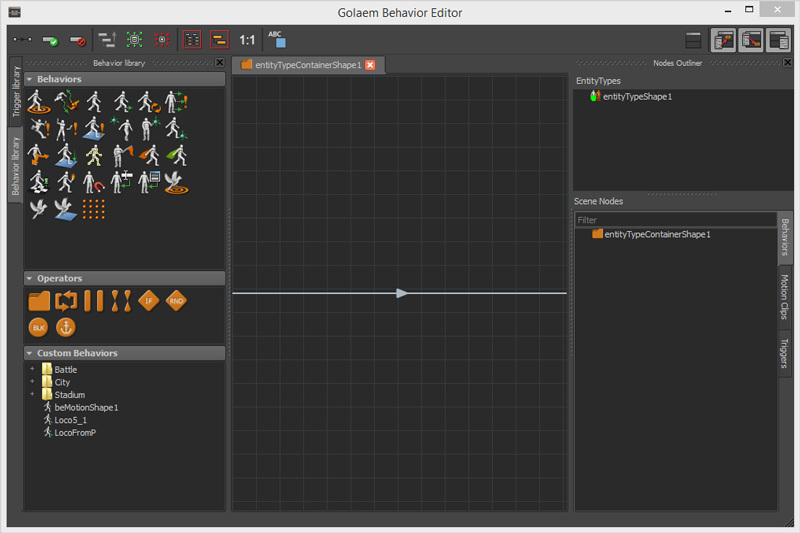 Double-click on the Motion Behavior and select a motion from the /golaem/motions directory. 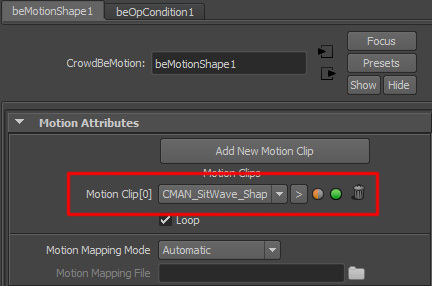 A motion clip is automatically created and reference in the Motion Behavior. 25. To be able to see the changes, we need to leave Cache Replay mode and switch back to Simulation mode. Click on the Simulation status icon in the Golaem shelf in order to to get back to Simulation Mode. 27. 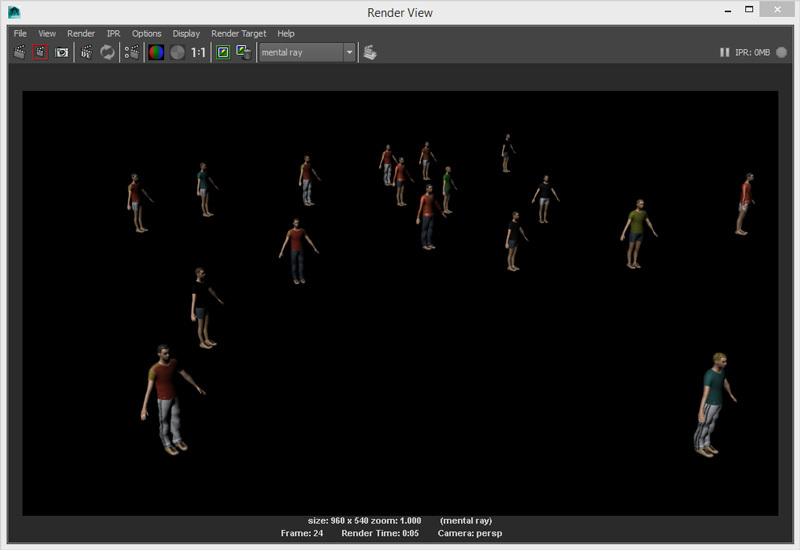 Click on a character inside the viewport to re-open the Visual Feedback . The tool is now showing running behaviors. 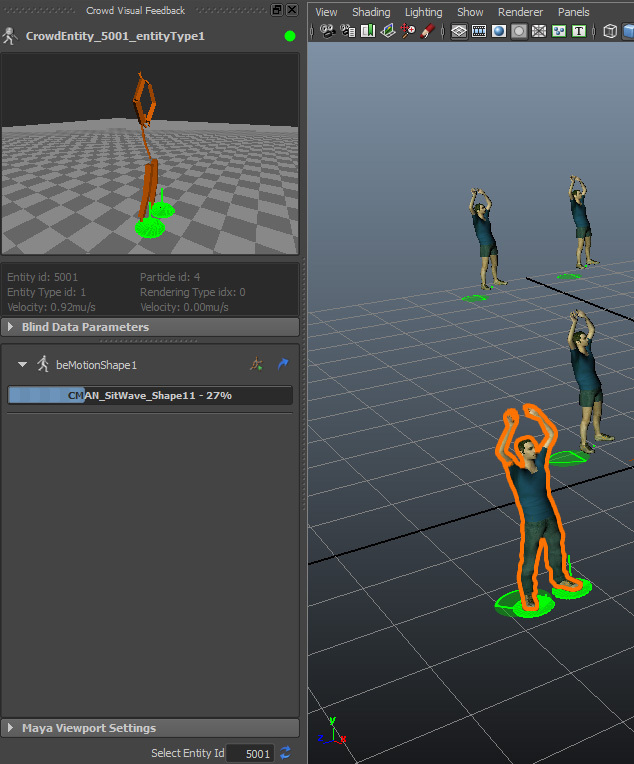 In this example the Motion Behavior and the animation played. Note that you can use the Maya Viewport Settings at the bottom to display more or less information in the viewport. 28. 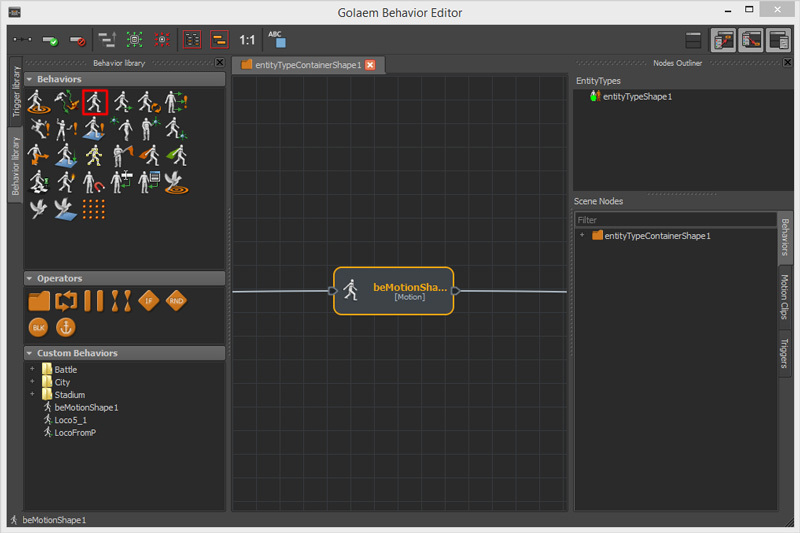 Re-open the Behavior Editor . 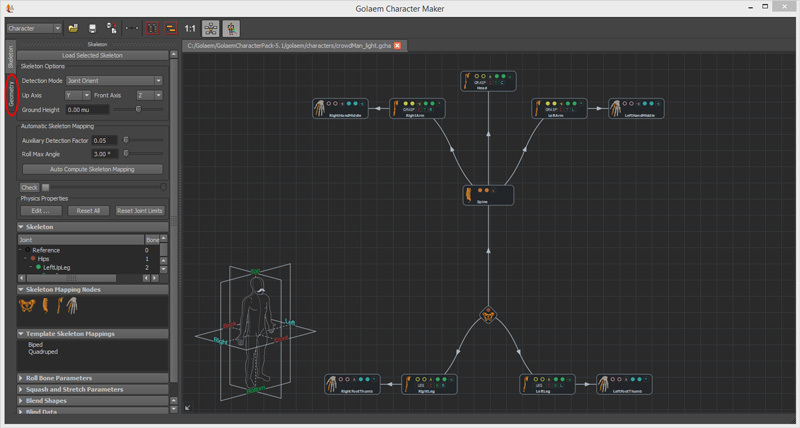 The Behavior Editor is attached to the previously selected character showing visual feedbacks, thus you are able to follow the Entity behavior progress all along the simulation. 29. Open the Simulation Exporter again and click run to re-export the simulation and update the simulation cache with the moving characters. Please note that re-exporting is needed only when simulation changes. 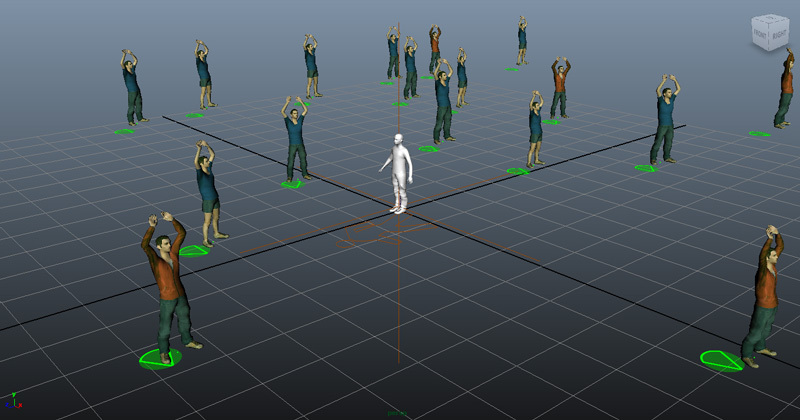 It is not needed if camera, lights, or even props/shaders repartition changes. 31. 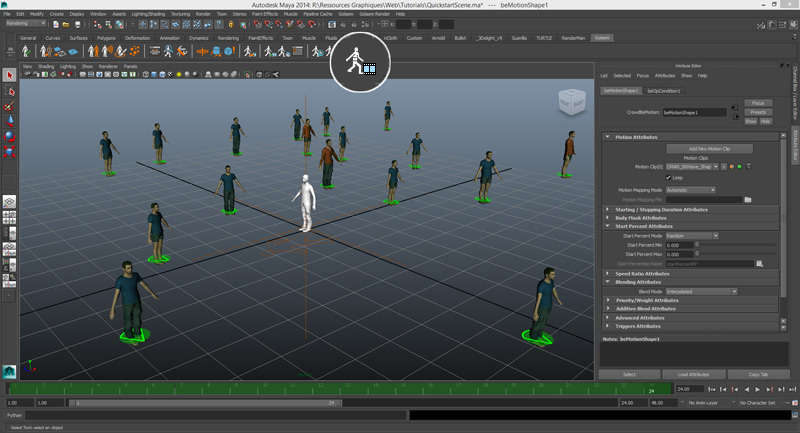 Switch to Maya Vertex Selection Mode (F9), select one or more Entities in the viewport, use either Maya Translate Tool (W), Rotate Tool (R), Scale Tool (R) and use the gizmo to translate, rotate or scale Entities. You can use the tools in the Simulation Cache Layout toolbar to duplicate, scale, re-place, remove from render... your Entities. More about all the available tools here. 32. After editing the simulation cache, do not forget to click on the Save button in the Simulation Cache Layout Tool to save the modifications along with the simulation cache. It will open a file browser to decide where the Layout File (.gscl) will be saved. 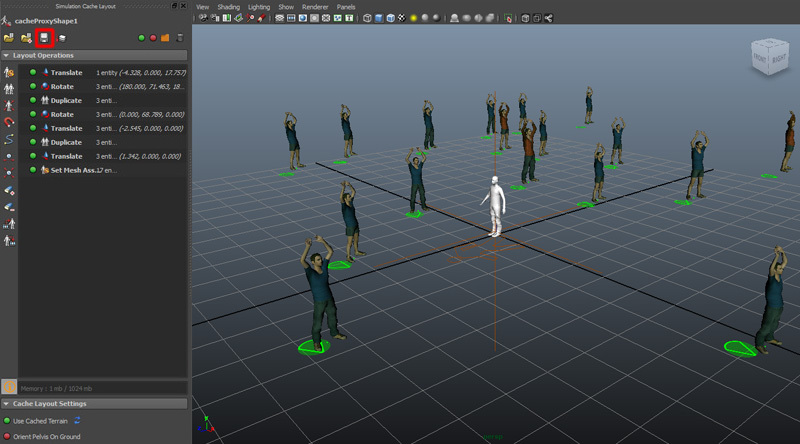 Depending on your projects, have a look at the other Tutorials or check the Video Tutorials page!